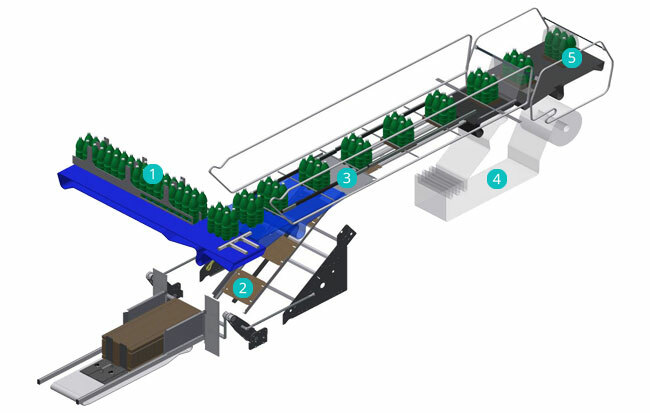 All AFW ERGON machines are equipped with a 90° product infeed conveyor and with a mechanical grouping system featuring a push-in device that slides on a brushless motor-driven linear guide. 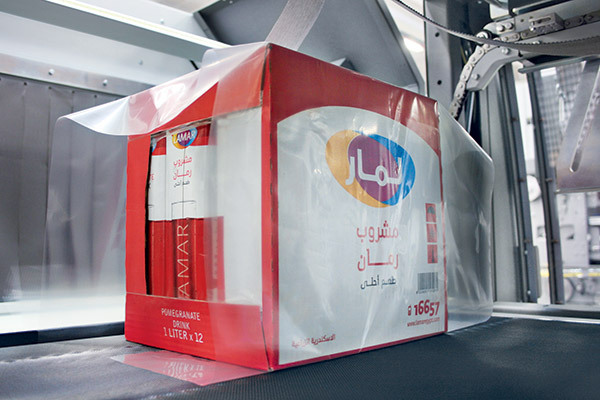 Depending on the model chosen, these shrink wrappers can make packs in film only, cardboard pad + film, cardboard tray, cardboard tray + film. 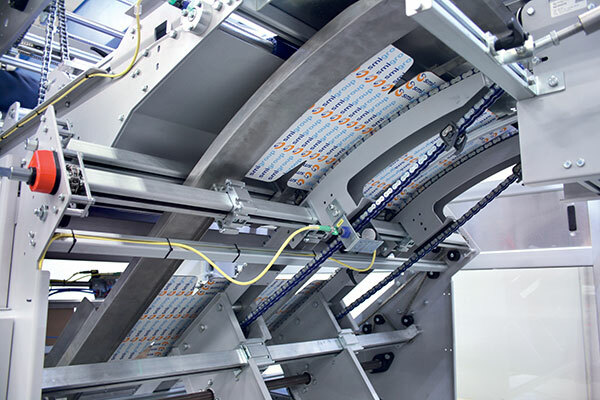 AFW ERGON series packers achieve an output rate up to 40 packs per minute, according to the machine model and the type of product to be handled. 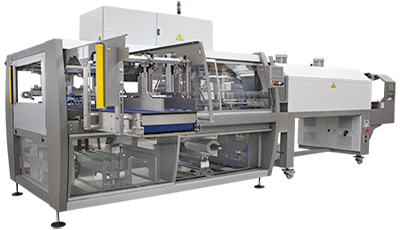 The pack collations can vary according to the containers' shape, capacity and size; the most requested collations are: 2x2, 3x2, 4x3 and 6x4. 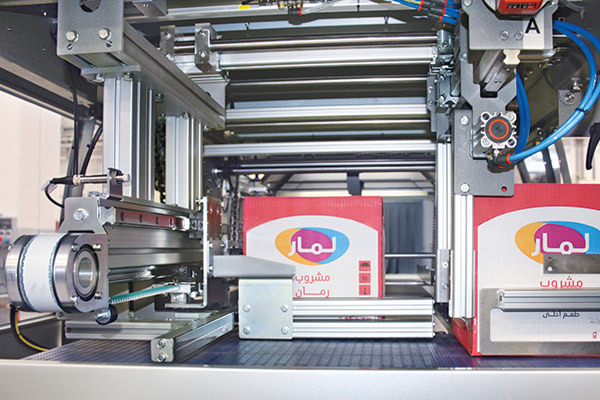 1An 90° product infeed conveyor, equipped with low-friction chains made of thermoplastic material, carries loose containers or already made packs to the pack formation zone, where the containers are clustered in the required format through a mechanical system made up of a pneumatic press and a product push-in device that slides on a brushless motor-driven linear guide. 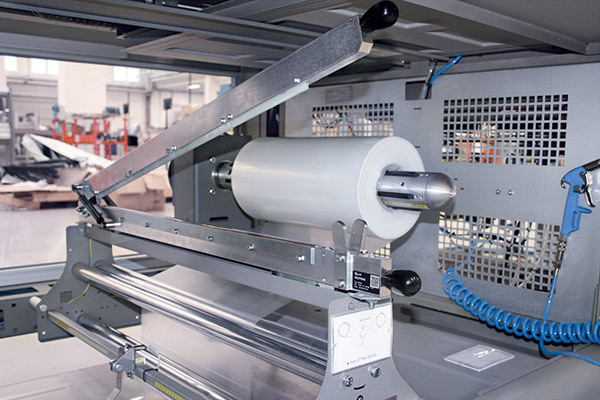 4The unwinding of the film reel, placed in the lower part of the machine, is controlled by a progressive brake, which ensures the film constant tension. 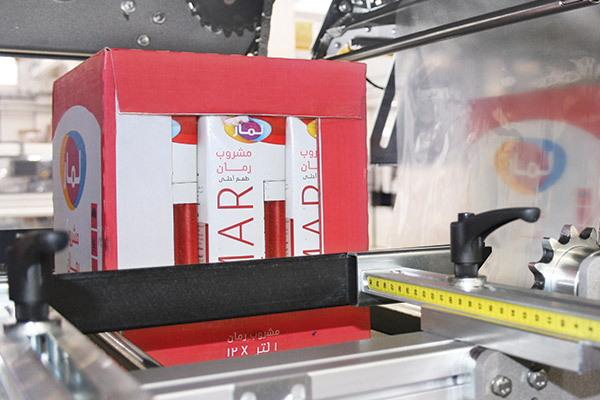 5Before the pack enters the shrinking tunnel, the film is wrapped around the container batch and overlapped at the base of the pack.